Alpina Nalina Resort & Spa set against lush tropical mountains only 10 minutes walk from the stunning white sands of Kata Beach : Phuket, Thailand. The sprawling Phuket resort is a haven for honeymooners and a fun filled escape for families packed with entertainment for all ages. Exploring the village is easy with a plethora of shopping, dining and activities on your doorstep. The rooms, suites and villas are more spacious than most, designed in classic Thai style with modern amenities and special features like direct pool access, Jacuzzi bathtubs and private pools. The enormous swimming pool is a highlight, the spacious spa is simply divine and there are delicious dining options full of flavour throughout the day. 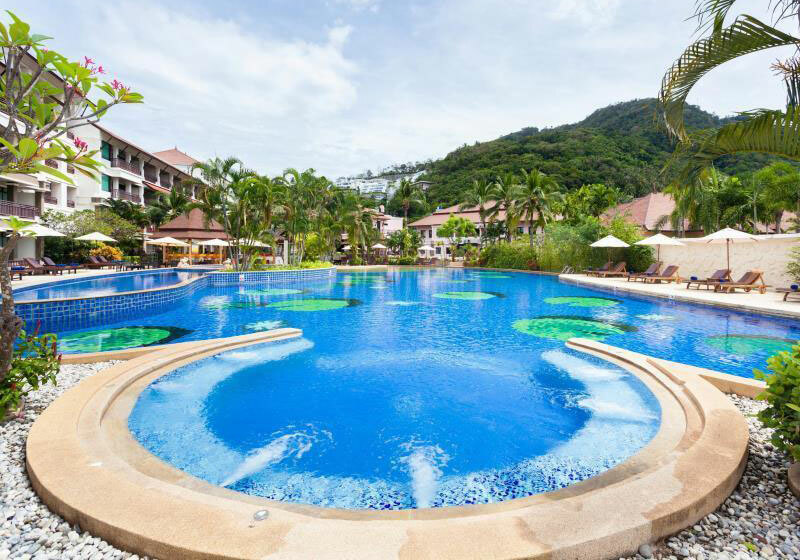 Short Description: Alpina Nalina Resort & Spa set against lush tropical mountains only 10 minutes walk from the stunning white sands of Kata Beach : Phuket, Thailand. The sprawling Phuket resort is a haven for honeymooners and a fun filled escape for families packed with entertainment for all ages.